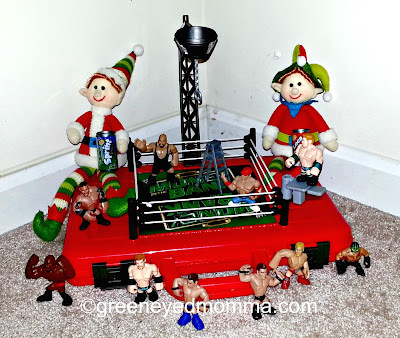 Being the only girl in our family, I am not surprised that Buddy and Max setup the "WWE Money In the Bank," wrestling ring. 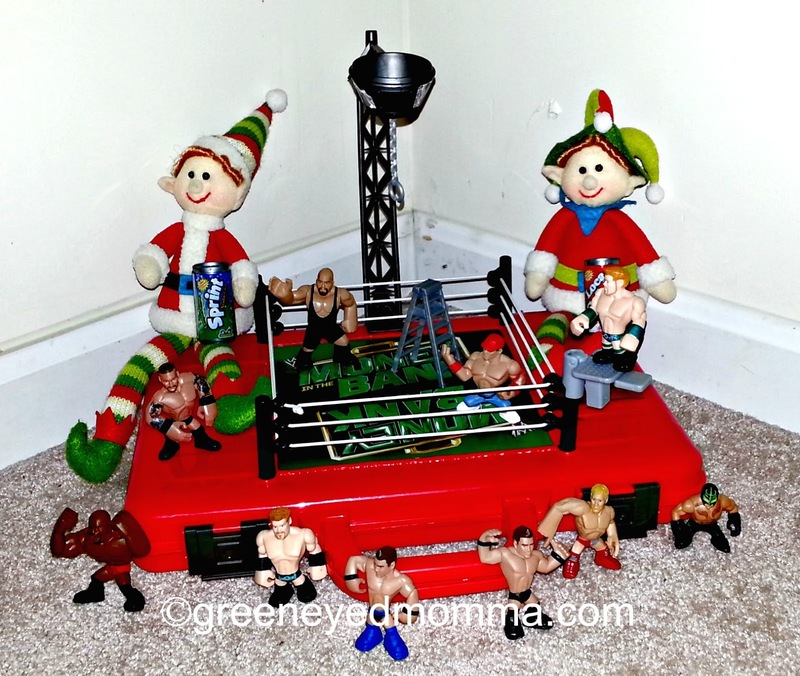 My husband and boys love watching wrestling, and are looking forward to Sundays TLC match! Tables, Ladders, and Chairs is a pay per view event, so we will have to wait to see the results, but the boys are very excited about it! Buddy and Max, are fans of wrestling too! I wonder if they have wrestling at the North Pole? Who do you think they cheer for, are they John Cena fans? Have wrestling fans at your house? Think wrestling is a guy thing or are you a fan too?